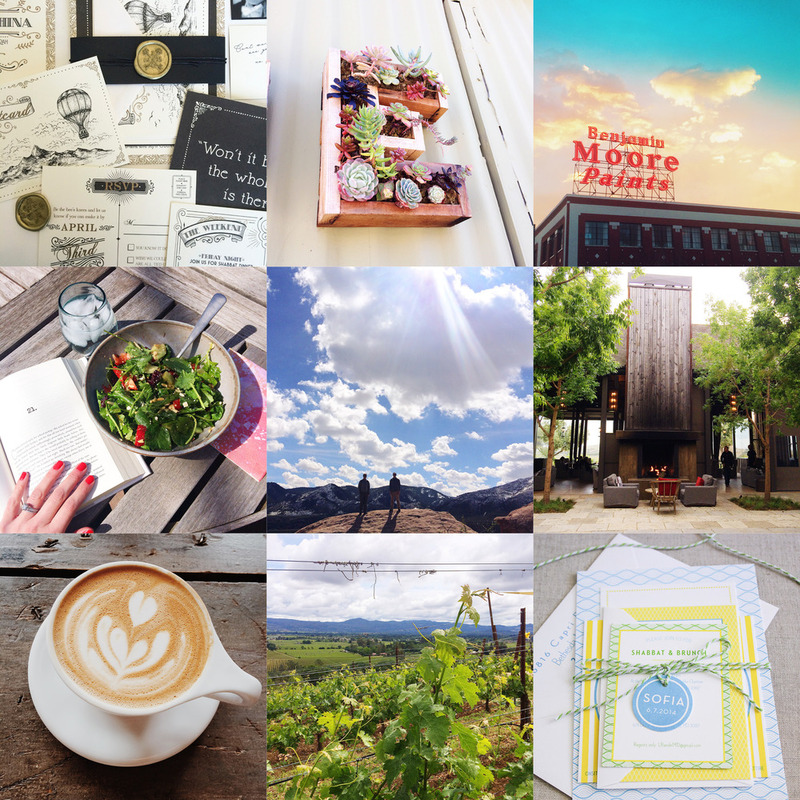 I shared: My favorite summer invitation suite, a new vintage invitation suite complete with a wax seal and highlights from my trip to Sonoma. I learned: This past week I finished Marie Forleo's 8 week B-School program. My head is swimming with all kinds of information I want to implement in my business. I visited: We had friends from DC visit this month so we got to play tourist in our new home which was fun and I just got back from a girls trip to California with my mom and sisters. It has been so nice to spend quality time with our loved ones this past month. I'm pretty excited about this coming month as I finally have some time to implement everything I've been learning in my business. 1 Organize: While I'm great at staying organized on projects, organizing actual belongings is a huge weakness of mine. I have boxes and boxes of past work, paper samples etc. Part of it is due to the move but I've decided it is time to get organized in my studio starting with all my supplies and samples. 2 Email List: I've been wanting to do a monthly email for a while and this month I'm finally going to launch so be on the lookout this month to signup and receive exclusive content such as tips and tutorials. 3 Learn: Now that I'm done with B-School I am hoping back on the Skillshare train and really want to continue my education with calligraphy and hand lettering. 4 Solidify My Routine: My routine has been one of the hardest parts about transitioning to working full time for myself. I feel like I'm getting there but this coming month I really want to perfect it so that I can efficiently do my work, make time for exercise, and feel more balanced. What are your goals for this coming month? I'd love to hear what you are struggling with or want to hustle after in the month of May. This past weekend I was in Sonoma with my mom and sisters for a girls weekend. We had a great time tasting wine and taking in the beautiful countryside. This was my first trip in a while so I didn't realize quite how spread out everything is and how many small adorable towns are in both Sonoma and Napa. These are just a few highlights from our long weekend. We wanted space to spread out so we rented this adorable little cottage a few miles from downtown Sonoma. It was perfect for what we needed and we loved the outdoor space where we enjoyed a glass of wine after our daily outings. Our first full day we wanted to see the beautiful coastline of Sonoma County so we headed an hour west to Bodega Head. The views were pretty spectacular and afterwards we stopped at Roadhouse Coffee which is the quintessential small town coffee shop. We ended up talking to a few local patrons and it is definitely worth the stop for a taste of the local color. Afterwards we drove up the coastline then followed the Russian River inland to Armstrong Redwoods State Natural Reserve. The park is less crowded than some of the more well known Redwood parks and the trail we took was extremely flat and easy. We finished off our day in Healdsburg, an adorable town full of shops and restaurants. We only had time to stop at The Shed, a cafe and home goods store, but it is top of my list to visit on my next trip back. On our second day we headed over to Napa and had brunch at Boon Fly Cafe. When you go you have to order the bakers dozen donuts, just trust me. Our first vineyard of the trip was Turnbull Wines and it was like walking into the pages of a restoration hardware catalog. Before heading back to Sonoma we stopped at Farmstead cafe in St. Helena for coffees and a snack. Our final vineyard of the day was Ram's Gate in Sonoma and might be the most gorgeous winery I've ever visited. From the soaring wood cathedral ceilings, indoor and outdoor space that flowed together and dramatic light fixtures, I just couldn't get enough. Just to note this is one of the vineyards you have to make an appointment for so plan ahead. Our final day was definitely the most memorable. We booked a private tour with Kent from Squire Livery and while it was a splurge I now can't imagine doing wine country any other way. He took us to small boutique vineyards not open to the public and we had private tasting experiences with such gracious hosts who are passionate about making wine. We took tours of wine caves, were driven amongst the vines in a dune buggy vehicle and enjoyed tastings at farm tables in the middle of vineyards. It was the perfect way to end our trip and we will definitely be calling Kent up on any of our future visits. February sure was a short but wonderful month. Looking back I relaunched my business, spent my first full month in Colorado without leaving, wrapped up a few fun projects I hope to share soon and had the chance to explore my new home of Denver more. Looking forward to March I have a lot more I'd like to accomplish and have decided to start sharing my monthly recap and goals on this blog. Life is busy and I won't always achieve everything I set out to do but hopefully talking about my successes and failures can be a source of accountability for me and encouragement for you as well. 1. Read Yes Please by Amy Poehler: For my monthly dose of girl power inspiration. 2. Blog Twice A Week: I've been pretty quiet on here as I've been so busy with work but I want to make more time to share my inspiration and what I'm working on. To be completely honest I get paralyzed sometimes wanting to come up with the most perfect post. This is ridiculous and I need to stop being a roadblock to myself and just get after it! 3. Make time to learn a new skill on Skillshare: I won a year subscription to Skillshare at an AIGA event and I really need to invest time in myself. I'd like to set aside time a few mornings a week to go through a video series. 4. Decorate my office: I told myself after my relaunch I could spend some time designing my work space. I'd like to hit my monthly income goal for 6 consecutive months before making any big furniture purchases but I can still make my design plan. A few coats of paint and a couple desk accessories could go a long way in the mean time as well. 5. Take 2 weekends off: It has been pretty busy around the studio and owning your own business is not for the faint of heart. Working through the weekend is just part of the gig but I'd still like to find a better work/life balance. What are your goals? Is there anything you've been putting off and need to start making time for? Join me in getting after it. Let's do this, March! Welcome to my cozy corner of the web! 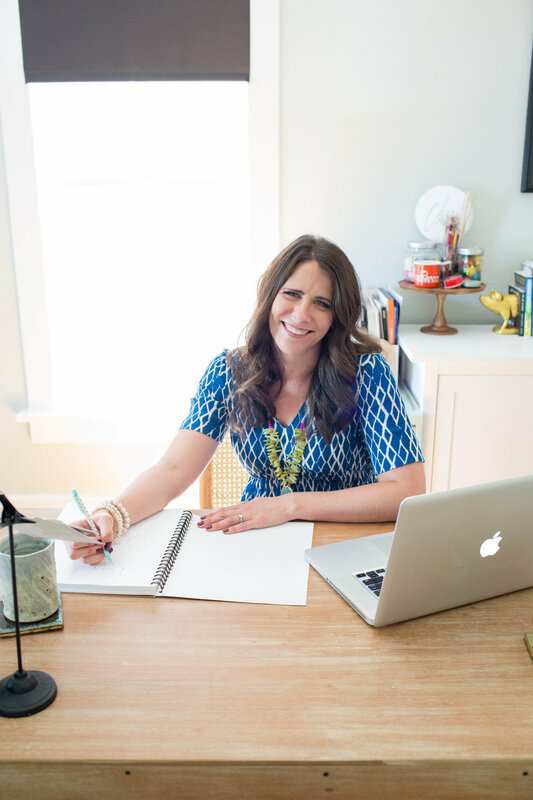 I'm thrilled you've stopped by and am excited to use this space to share my inspiration, what I'm working on and my experiences as a small business owner. In order to give you a proper introduction, I thought I'd share what is important to me and a few of my favorite things. MAX POWER - Max is our lab mutt and he is quite honestly the best dog in the world. TRAVELING - My husband and I love to explore and travel and we just returned from a trip to Cabo in January. I'm excited to plan a few more adventures for this coming year! COLORADO - We just moved to Denver this past October and so far are loving our new adopted home. WORKING OUT - I love breaking a sweat because it makes me feel good and is good for me. I'm constantly trying different classes and don't have patience for workouts that are not fun. My favorite classes right now include spin, barre and yoga. FALL - Fall is my favorite season as I love the crisp chill in the air, apple cider, colorful leaves and pumpkin flavored everything. Yes, I am that girl in the yoga pants with a pumpkin spice latte in hand. SAILING - My husband grew up sailing and I was introduced to this family tradition when we started dating seven years ago. I have such fond memories of driving up to his parents house on the eastern shore of Maryland, going for a day sail and then having crabs on the back deck. NORTH CAROLINA - I grew up in Raleigh, NC and it will always feel like home to me whenever I return. From the mountains to the coast the entire state is diverse and beautiful but my favorite spot is my parents beach house in Emerald Isle. As soon as you arrive all your stress and worries just melt away. MUSIC - I played the piano for 17 years and it was always a source of joy and a therapeutic outlet for me. Now days I love to have music on in the background at all times whether I'm working or cooking. My eclectic taste ranges from classical and bluegrass to indie rock and oldie classics. 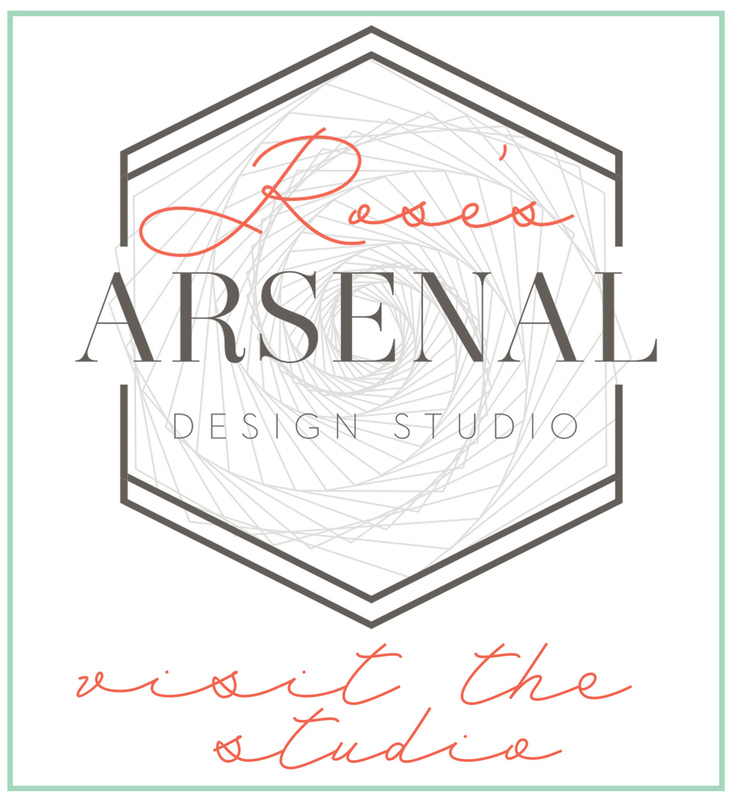 STATIONERY - I have a weakness for all things paper, letterpress, foil, blind emboss and more. FAMILY - Family is so important to myself and my husband. When we lived on the east coast we made it a priority to see our family often and leaving them was one of the hardest parts of moving to Colorado. I talk to my two older sisters just about every day and despite them both having kids we try to do a girls weekend a few times a year. READING - I come by my love for reading naturally as I have memories of both my parents spending their nights in their reading chairs and making many trips to the library. My taste in books is as eclectic as my taste in music. Feel free to view my reading list on goodreads or what I'm currently reading on instagram. WASHINGTON, DC - I owe a lot to DC as it is where I got my start in graphic design, made amazing friends, and met my husband. I lived there for seven great years and we just recently moved away to Colorado for my husband's job. We love our new home but I will always have a special place in my heart for DC and the time I spent there. I'd love to learn a little more about you and hope you will share what is important in your life in the comments.